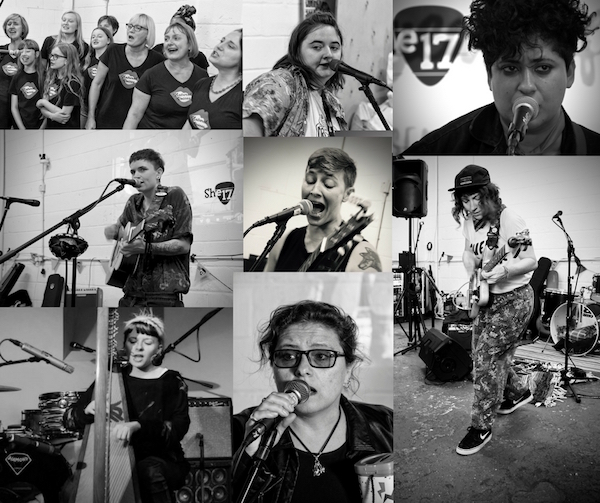 Our awesome sisters of She17 in Walthamstow are planning a whole week of brilliant events to celebrate International Women’s Day, in collaboration with #iamDJ Appreciation Society and the Wildcard Brewery from 5 to 11 March. Celebrating 100 Years of Votes for Women with an Open Mic and Spoken Word night at the Wildcard Brewery (Ravenswood). Expect performances from E4 Harmony, Other Theresa, Sam Kurt, Sam Henwood and more. Plus we will have some special guest speakers, a protest playlist from #iamDJ’s Auntie Maureen and a live set from Kimmi Watson too. This event is supported by LBWF. She’s Eclectic at the Wildcard Brewery, celebrating International Women’s Day by showcasing 8 great live electro/acoustic acts: MC Kimmi Watson, Natural Voices Choir, Anna Skodbo, Beth White, Chuck Hay, Finn D’Albert, Shay Khan and Jemma Freeman. If you’re stuck for something to do on Mother’s Day afternoon, or need to chill after Saturday’s #iamDJ Alldayer at the Wildcard, then why not return for our Lazy Lady Sunday Social, with gentle tunes, board games, bingo and the mother of all music quizzes too.